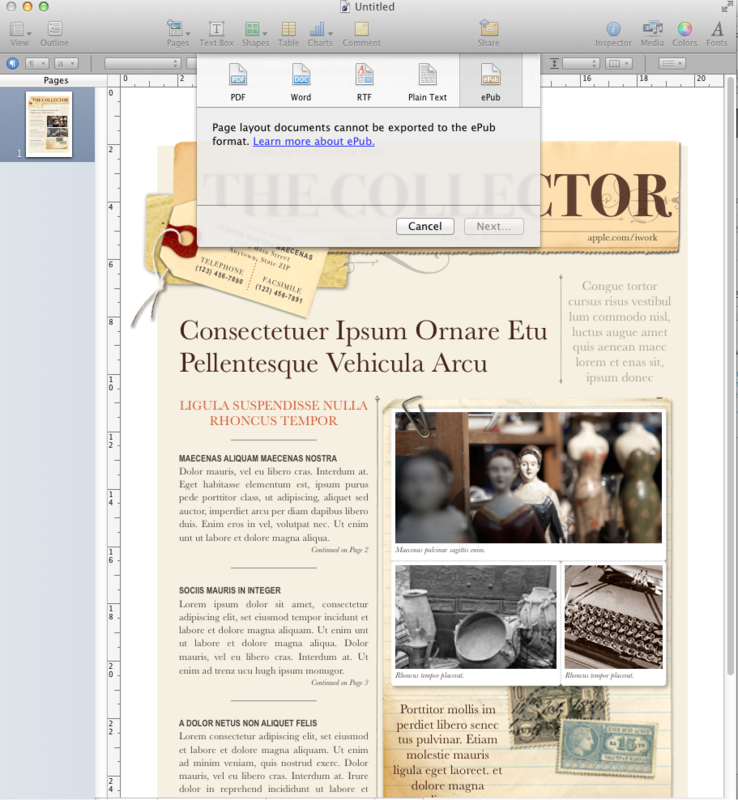 With Macworld just around the corner, I am tweaking my workshop presentation for January 25. By that time, we will know more about Apple’s publishing keynote to be held this Thursday and whether yet another industry – publishing, especially academic and scholarly – will be disrupted by Apple technologies. Notice, will you, the date of this entry: January 7, 2010. The iPad 1 keynote was held on January 27, almost three weeks later, so at the time of writing we were still in the “tablet rumour” phase of iPad’s release. But it seemed so certain that a tablet was on its way – although up to the day before no one guessed its name – that bloggers like me were already envisioning what its release would mean. For consumers and various industries too, such as publishing. What I was referring to was the outlandish price of academic texts, both in book form, as well as downloadable articles for which the major publishing houses still charge anywhere between $25 and $35 for a PDF of perhaps only a few pages. It’s wild-eyed pricing, given there are so many ways to obtain the same article, from writing directly to the lead author, going to their academic website where their publications are often listed for download, asking a friend with an academic position to get it for you, or using a search engine to eventually locate it. I would say 90% of the time I am successful with one of these methods within a few hours. Remember too, that authors get no royalties, and in some cases are prohibited from distributing their own published work as a condition of being published in a prestigious journal. The other idea not unique to my thinking when contemplating the Apple tablet was self-publication, something which has been hinted at being included on Thursday, and for which Apple tools, like Pages, already exist, partially. It seems the iPad is ideal for turning academic texts on their heads, including highly engaging visuals in enhanced versions. 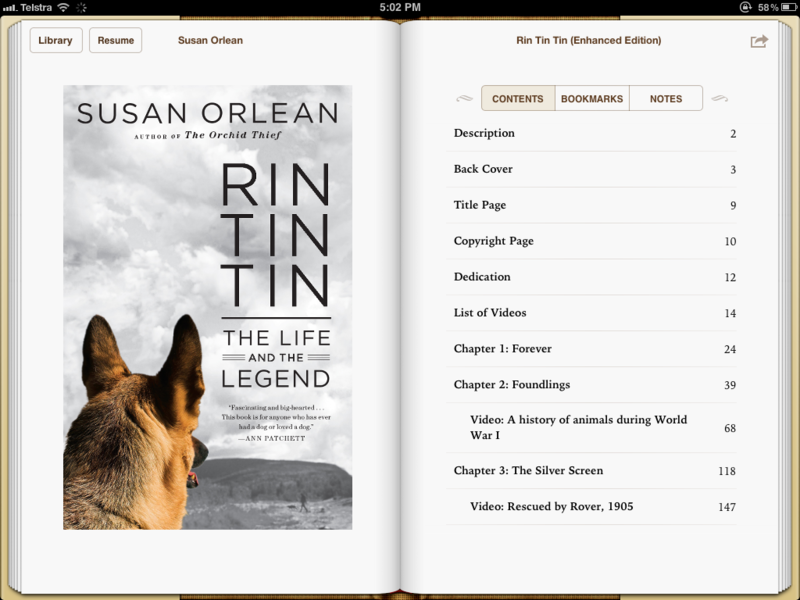 Late last year, I bought on iBooks an enhanced book about the dog, Rin Tin Tin, by Susan Orleans. 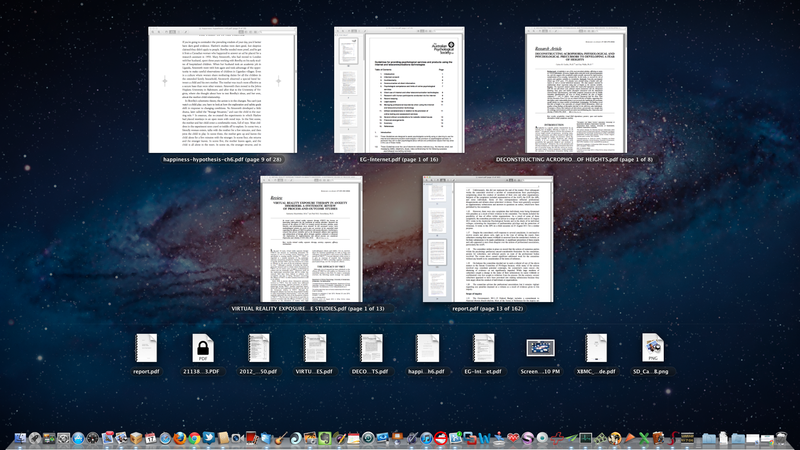 I expect we may see a beefed up Pages announced on Thursday to assist the self-publishing process beyond its current format, and if that is the case, perhaps a reworked iWork 12 too – although it’s tiring to keep flogging a near moribund horse. Who knows, perhaps a new app. to be added to the iWork coterie. 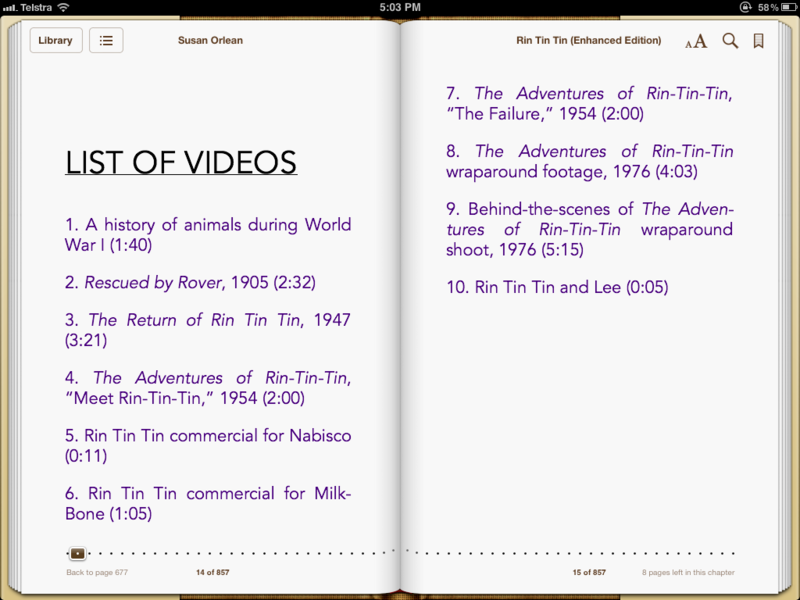 While you only see a still image, above, it’s actually a movie file I created for last year’s Macworld (Keynote on the iPad). But that’s all well and good for private use and sharing. But what if I want to use Keynote and Pages to make a book for sale, perhaps starting with Presentation Magic using Keynote with all the effects and tutorials from my workshops? Rather than have handouts using lots of trees at workshops, why not gift my book for iPads and iPhones so that workshop attendees can either follow along (not my preferred option) or review the workshop afterwards with all the techniques I used explained and illustrated in much more detail? 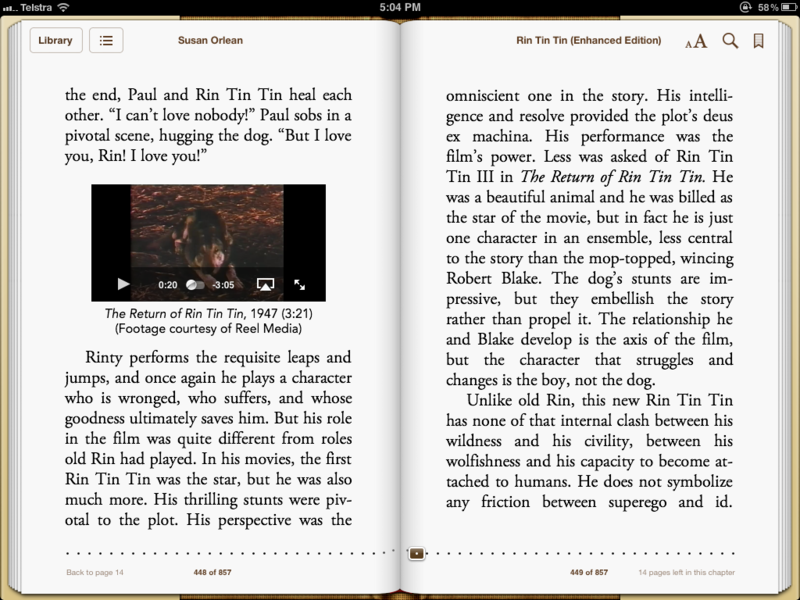 And of course, the book is for sale on iBooks for a nominal price. Doesn’t this take self-publication to a whole new level? Yes, and like so many things Apple does, it’s been done before, but not this way and not this easily. The next step is to take on the webinar, online training and Continuing Professional Education fields, which is worth billions. Using the same tools authors use for their daily work, users could easily take their presentations and workshops and rework them for sale later without the extra expensive outside contractors needed to do it currently. Go and take a look at my APEX presentation of September 12, 2011, which I blogged about here. The video I mention which is on YouTube was created using Keynote for the slides and presentation, my iPhone 4 to record the video and audio, and ScreenFlow to assemble the exported Keynote slides as a video and the iPhone output into a YouTube video. 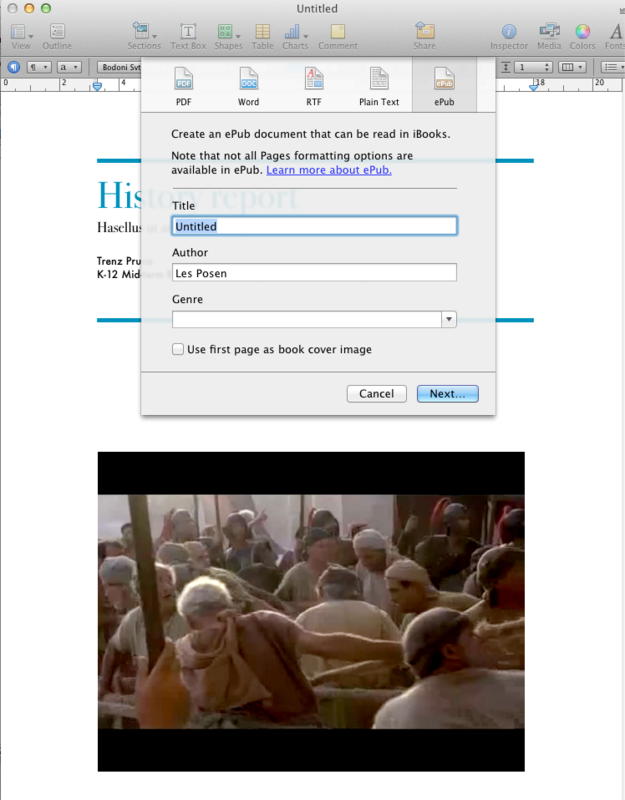 This was a one person operation using inexpensive software, which easily lends itself to self-publishing workshops, and which can be value-added with an enhanced book for sale on iBooks Scholar (I just named it that). Perhaps Apple will release more tools for self-publishing a la Garageband integrating the output of Keynote, Pages and iMovie and then uploading them, like a podcast to iTunes University or the iBooks store. The time is surely right to take on the world of science publishing, and I’m of the belief that this was in fact literally Steve Jobs’ dying wish – to disintermediate another industry which has become lazy and lacked innovation because no one dared stand up to it, much less the scientists who grasp the publishing industry’s teets for their tenured lives. Publishing on Thursday and Television later in the year: it’s going to be a very interesting year in the science and creative arts in 2012. This is under Apple Senior VP, Eddy Cue, whose presenting style in Apple keynotes I’m no great fan of, but he is one heck of a smart operator, recently promoted, and I believe mentored by Steve Jobs, especially during the iTunes music rollout.